Keep informed about all the new online casinos that are trustworthy, reliable and safe to play at, and recommended by GamesandCasino.We keep up with all the new casino releases and make sure these new casinos are legit for online players, before we endorse them. Are you ready for a change? Try all the new online casinos listed on this page. Who knows, you may find a new home… And this is the place that will get you started. When casinos first launch they offer great new player bonuses, so make sure to maximize your investment and take full advantage of the free casino cash promotions that are offered when they're brand new. More information on new casinos is at the bottom of this page. New Customer Offer. T&C’s Apply. 18+.All new players have 7 days from the date their account was opened to claim their new player sign-up bonus. The Welcome Bonus will automatically be credited to the Bonus Account upon a successful purchase of 10 currency units or more. New Customer Offer. T&C's Apply. 18+. Plus 33 Free Spins. Your free spins will be awarded within 24 hours after your first deposit. New Customer Offer. T&C's Apply. 18+. 1 Free Spin credited for every £1 deposit. Up to 50 Free Spins valued at £0.10 each on Book of Dead. Min. deposit £10. First time depositors only. OJO’s Rewards and Game Play policy applies. Above you will find a directory of new casinos launched online and reviewed by GamesandCasino. This page will be updated frequently, we are able to get the latest scoop on new brands from LatestCasinoBonuses and only add the ones that we think will provide you with the best value and experience. 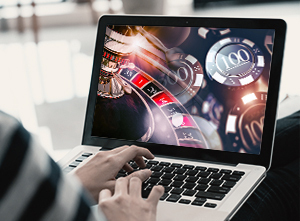 If you're an online gaming player you would like to know when the new casinos first come out, and for that reason we have provided you with this New Online Casinos page. Some of the above listed new casinos were added to our site at an earlier date than the first of this year, but they will stay a while longer because of their great offers to new players and to new U.S. players as well. One or more casinos may be taken off in time, either due to closures, lack of trust to online players, or new ones are added. We first check to see if these new casnios are a safe and reliable place for online players to play, and then they become an addition to our site. Some of the online casinos listed above may have been around for several months and possibly years before we add them to this page as a recommended online casino. When these new casinos come to our attention as a legitimate online casino, then we will add them to our new casinos page and then to our site as well.